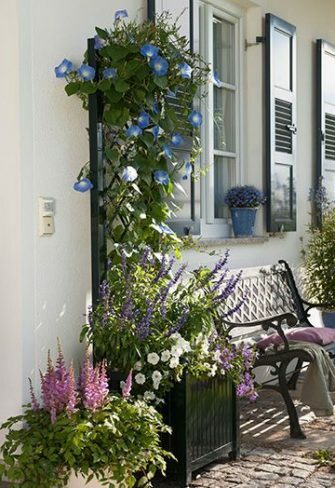 Aptly named 'Caisses de Versailles', Versailles Planters, the models for those refined planters can be found, as the name suggests, in the Orangery of Versailles in France. They unfurl a touch of class whether at a private mansion, or in front of elegant shops and restaurants. 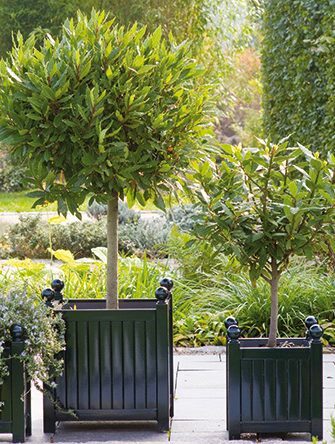 Unlike the famous French originals that are made of wood, these indestructible and care free planters are made from heavy, hot-dip galvanized steel. A drop-in/take-out plastic liner makes for an easy transport of the plants to their winter home, while the planter itself may remain outside. The liners also assist in an effortless changing of the soil and the seasonal plantings. The traditional planting will be with lemon or orange standards, clipped Box or Topiary. 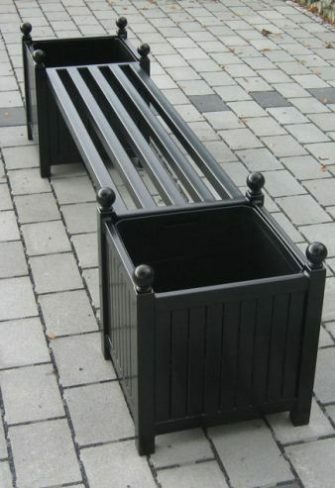 Last but not least: Because of their heavy quality, these Planters will withstand with ease any form of impact or abuse.